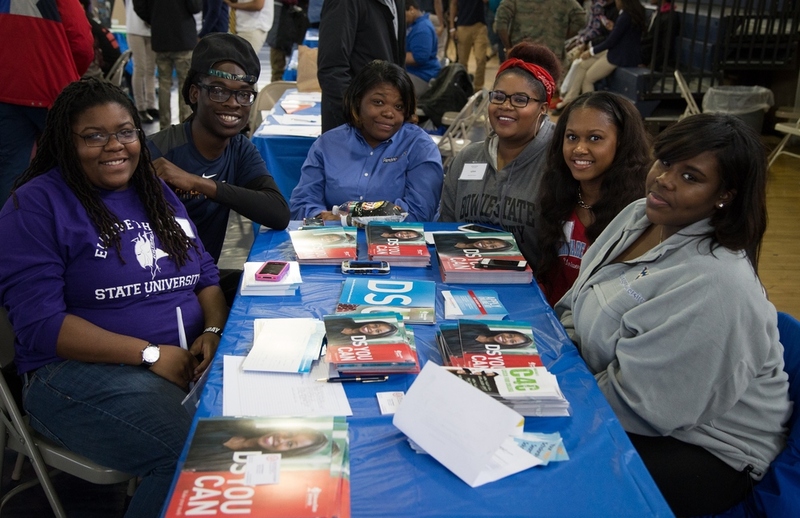 February 13, 2015: Friendship Collegiate Academy (FCA) hosted its 3rd annual Alumni Day on Friday, December 19, 2014. The event is held at Friendship Collegiate Academy annually. Its main purpose is for those who have graduated to share their experiences from college and the work force. The challenges students face upon entering college can catch them off guard, especially those who’re not prepared to face these challenges. So Collegiate hosts this program to prepare middle and high school students about college life. 2008 alumni Frederick Davis, who is currently enrolled in University of Vermont, gave the students some critical advice pertaining to college and the job market. Frederick valued the importance of connections and how it is very important to stay connected, not only in college but after college.There was something very important about his presentation that stuck out. He said “In college always meet new people. Branch out and get to know what’s out there”. Brandon Mahone is a 12th grader at Friendship Collegiate Academy.